I was recently talking to a high school friend of mine (Hi, Lor!) who is now a legitimate farmer- like a real live farmer (this is unusual when you go to a private school on the Gold Coast of Long Island) and my running came up. He sort of laughed at the idea of exercise, because as a farmer his body is in constant motion (he works an organic farm, it's small and he does most of the labor). He sort of scoffed at the idea of going to a gym and lifting things when he lifts things that feed people, that feed the Earth. It struck me then that I don't go to the gym to lift things to look good. I don't run to have a beach bod- and I started to explain this to him. Which I then realized I wanted to write down. I run because I can- because my legs let me and my feet let me. And my lungs let me. And my thighs let me. And etc. I run because the day my dad went to the doctor and was told he would have a quadruple bypass I could run. And I did run. I ran for him, and I ran for me. And now my dad goes to the gym daily. And I run for our health. I run because I ran for two years before I even knew I was asthmatic. I never knew running was supposed to be much, much easier than it was for me. And yet, I still finished many races before I had an inhaler. I ran my first mile when I was 24 without full lung capacity. And my first 5K. And my first 10K. I run because I feel brave and tenacious when I do it. I spent the first 24 years of my life feeling like I couldn't. Having coaches tell me I wasn't doing it fast enough, without ever teaching me how to run better. Having teams have to run extra laps because I was too slow (way to make me even more popular soccer coaches). I made a decision to try this new thing, and it was really, really hard for me- but I made a decision not to take the easy way out. To get good at it. And you know what? I did get good at it. I didn't stop when it got tough, I ran through that. I didn't stop when I hit hills, I ran up them. I didn't stop when my feet hurt, I just kept running. I run because every time I run it's easier. When I run and then run again, I can run further, faster and stronger. I run because it's damn fun. Running with your partner? A blast! Running up hills that seem huge? Um, hello, I love it. Races? I would spend all my money on them if I allowed myself to. I literally cannot wait until tomorrow when I am dragging/taking Andrey to our favorite 5K loop to run. I run because I love the connection it's forged with my partner. Running is our thing. Andrey's and mine. We run together, we run apart, we meet each other. We have smoothies after! We discuss our runs. We talk about optimal shoes and speeds and shorts. I run because I love the music I get to listen to when I run. And I love looking crazy when I sing along to Queen and dance while I run, and I totally do not care. p.s. Don't Stop Me Now, by Queen is my current favorite running song. 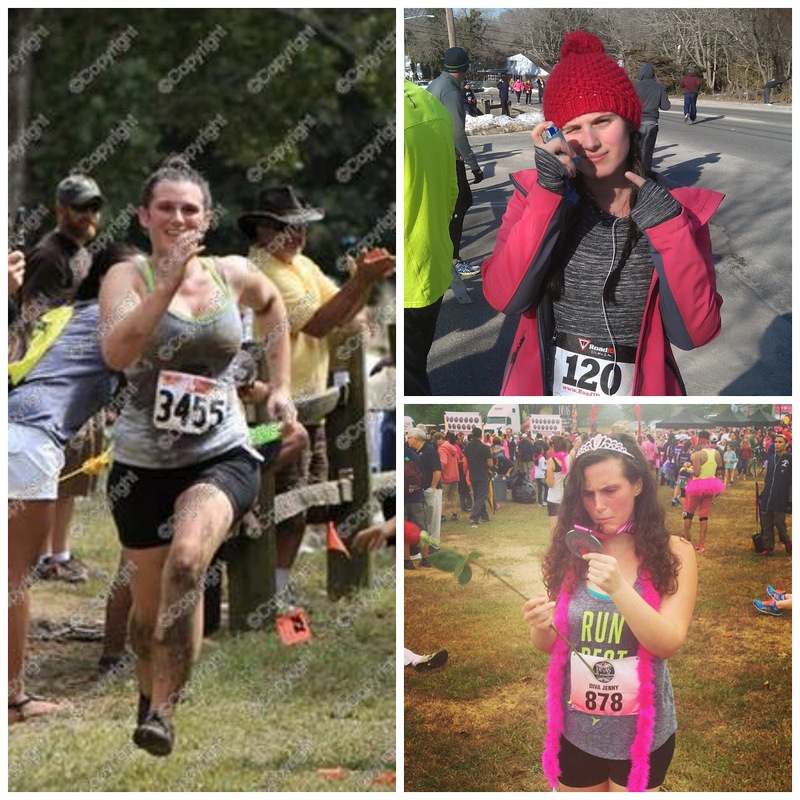 I run because I love the connection to other runners. I love talking run-shop with other runners. I run because even though it took me two years to reach my runners high- I found it. And now I cannot imagine my life without it. I run because I love to.